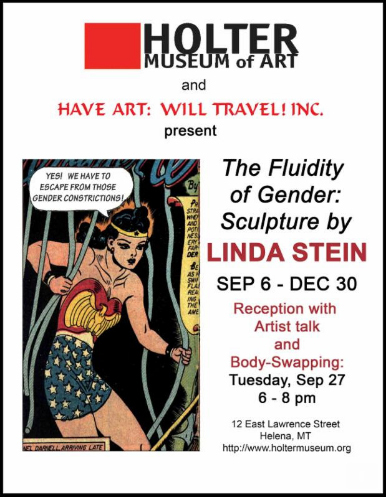 The Fluidity of Gender: Sculpture by Linda Stein is currently on view at the Holter Museum in Helena, MT. It will be up until December 30.The exhibition explores the continuum between the binaries of masculinity and femininity, while inspiring the compassion, empathy and bravery it takes to become an upstander rather than a bystander. HAWT asks people to re-invent and visualize bravery for themselves, to look at the armor they wear, the safety they seek. 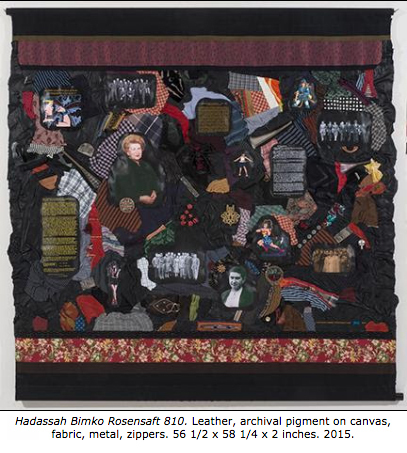 Holocaust Heroes: Fierce Females Tapestries and Sculpture by Linda Stein is now at the Museum of Biblical Art in Dallas, TX. It will be on view until December 16. The Holocaust Heroes project demonstrates that while most people are bystanders under conditions of terror, there are always a few who defy a malevolent authority and do what they feel is the right thing. If heroes existed during the Holocaust, then certainly we can increase the propensity for individuals to become more empathetic and compassionate under normal conditions.